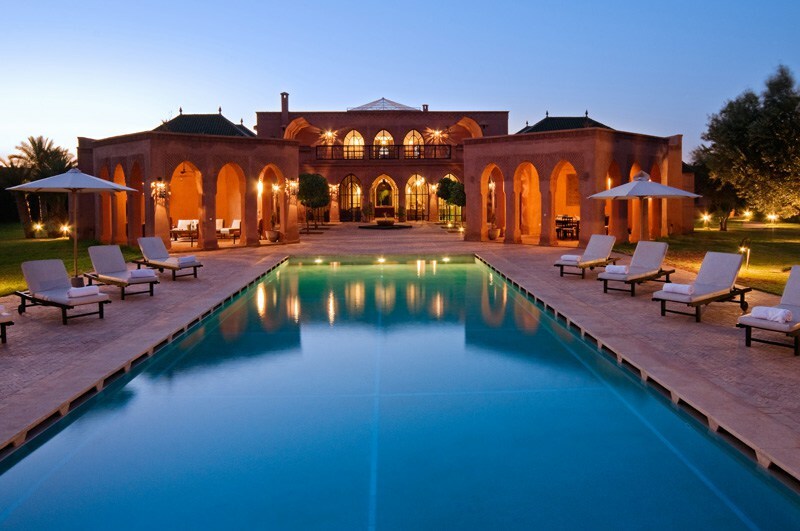 Marrakech it is just a 31⁄2 hour direct flight from London, yet it offers almost guaranteed sunshine for 9-10 months of the year. Afternoon temperatures between September and June average 24 degrees Celsius. It certainly lives up to its reputation of being a colourful and exotic city, with an astonishing array of quality goods in the little shops of the souks, snake-charmers and storytellers in the main square, and visiting tribesmen from the desert with their camels; but it is also a glamorous city, with good restaurants, food and wine influenced by the French, and fine golf courses designed to meet the demanding standards of the late King. 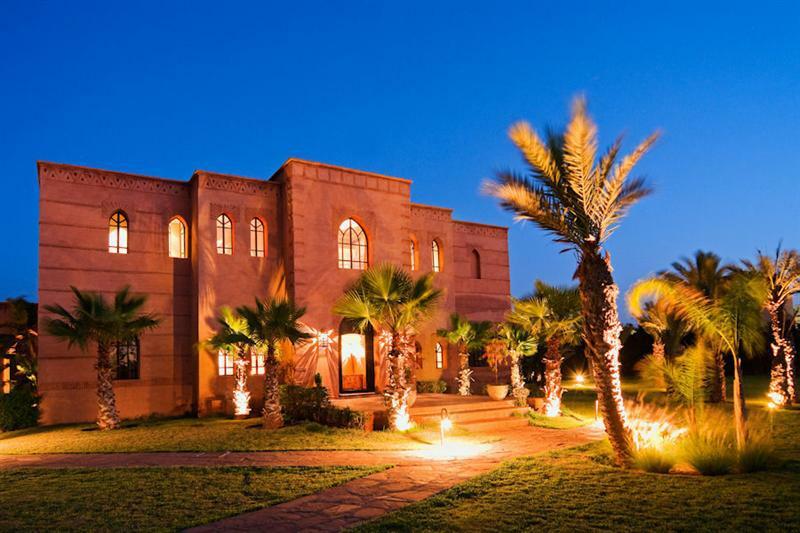 This luxurious villa has seven en-suite bedrooms and can accommodate 12 adults and 4 children in comfort. 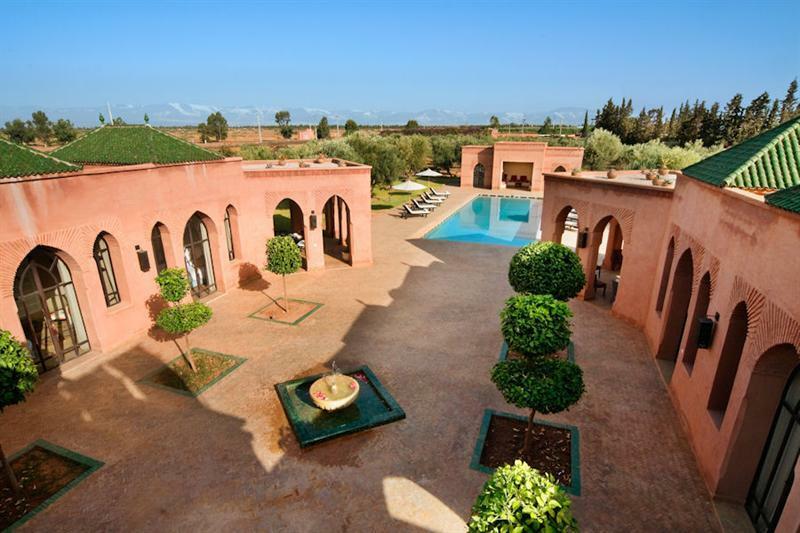 It has an exceptionally large heated swimming pool set in gardens filled with olive trees with good views towards the Atlas Mountains. The main house is built around a two floor atrium which has a retractable glass roof. There are two large master suites and a children’s room in the main house and 4 further bedrooms with private bathrooms in the courtyard. 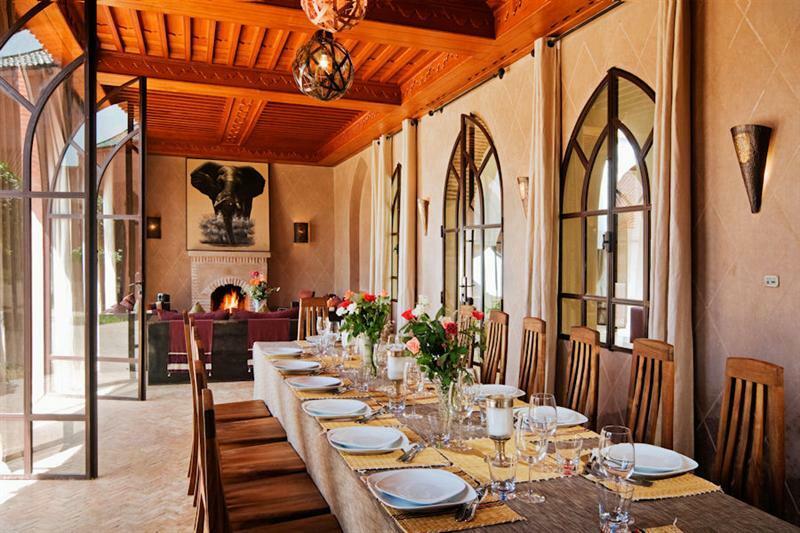 The property boasts an attractive dining room as well as an outside dining area and numerous areas to relax. The Housekeeper and his team will make sure that your every need is catered for. 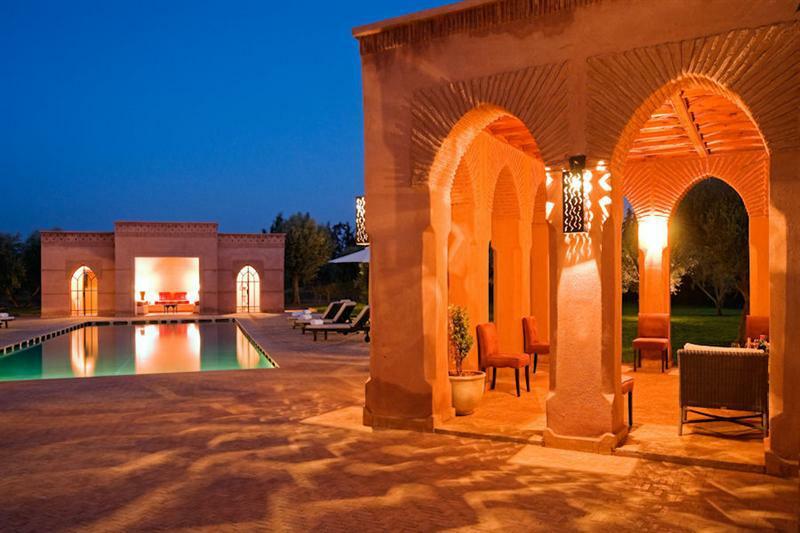 The cook will serve you wonderful Moroccan meals in this wonderful setting.